The Russian government is behind the world’s first university ranking for the BRICS countries – Brazil, Russia, India, China and South Africa. UK-based QS Quacquarelli Symonds will produce the pilot BRICS ranking in December. Last Wednesday QS announced that it had been appointed by the Interfax Group, a leading information provider in Russia and Eurasian nations, to produce a ranking of the BRICS countries, to be called the ‘QS University Rankings: BRICS’. The British company said the ranking had “received support from ministries of education and higher education around the world”. After Russian President Vladimir Putin announced last year that a goal was to have at least five Russian universities in the top 100 in global university rankings by 2020, the Ministry of Education sprang into action that included using rankings as a measure of progress. According to Wednesday’s statement, Interfax was selected out of five bidders to launch two pilot rankings. The first will include universities in Commonwealth of Independent States countries – formerly within the Soviet Union – and the second will rank BRICS universities. The first results of the BRICS ranking will be released at an Interfax and QS BRICS University Forum in Moscow on 17 December, and published on the QS site TopUniversities.com. “We think the best way to get a reaction is to put [a list] out and see what happens, and use that mechanism to engage with large numbers of universities, with a view to producing something that can go deeper in relatively short order thereafter,” he toldUniversity World News. The BRICS ranking will be the sixth in the QS portfolio, which also includes the QS World University Rankings, rankings for Asia and for Latin America, rankings by subject and QS Best Student Cities. All draw on Elsevier’s Scopus database, which contains abstracts and references from over 18,000 titles from more than 5,000 international publishers. Sowter said that in its efforts to develop its university sector, Russia had become “extremely keen” to learn from comparable contexts – countries facing distinct but comparable challenges in driving their higher education systems. “Right from the president, the system has become more internationally ambitious, in the last 12 months in particular, with additional funding and lofty targets to reach in a global context. QS had a strong relationship with Russia’s education ministry, Sowter said, and it had “agreed to reach out to counterparts in the other four countries”. QS was also reaching out, with Sowter travelling to China and India in the next three weeks, and South Africa next January, to talk to officials and universities around the new BRICS ranking. Furthermore, QS had just had representation at an event in Brazil. “The universities we’ve engaged with so far seem to be cautiously optimistic, as they ever are with rankings. The core of our inclusion policy on rankings in general is that we have strongly encouraged and welcomed the engagement, approval and acceptance of universities, but we don’t rely on it in order to execute our work. Interfax is working independently on the second ranking involving former Soviet states, although QS will provide some data on institutions in those countries that it covers. The methodology for the BRICS ranking differs from the global ranking, introducing new indicators and changing the weighting of existing indicators. There are eight indicators for the BRICS ranking, against six for the global exercise. ‘Academic reputation’, based on QS’ annual global reputation survey, will account for 30% of a university’s score (down from 40% in the global ranking). ‘Employer reputation’, also drawn from the QS global employer survey, will account for 20% (against 10% in the global ranking). ‘Faculty-student ratio’ and ‘citations per paper’ both account for 10% of the score in the BRICS ranking, but 20% each in the global ranking. Proportions of international faculty, and of international students, count for 5% of the score in both rankings. Two additional indicators are deployed for the BRICS ranking. ‘Papers per faculty’ is worth 10% of the total score, and ‘staff with a PhD’ is worth another 10%. “The proposal is to use a methodology that is comparable to some of our existing exercises, probably closest in nature to what we are doing in our Latin America ranking, including some additional data – particularly PhD-qualified faculty – as an additional indicator,” Sowter said. “The final weighting and indicators will be forged in consultation with our advisory board and as the data begins to collect. But essentially the medium-term intention is to execute a ranking that enables us to dig deeper into what’s happening in those five key economic and knowledge economies. 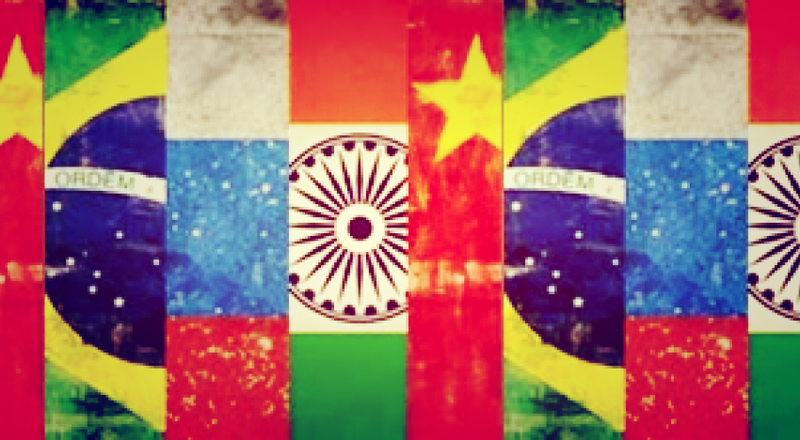 First ranking of universities in BRICS countries – University World News.